Practice deep breathing is to breathe slowly and using the diaphragm, allowing abdominal and chest lifted slowly inflate fully. The purpose is to achieve a deep breath ventilation more controlled and efficient and to reduce the work of breathing, increased maximal alveolar inflation, increase muscle relaxation, relieve anxiety, get rid of the pattern of activity of respiratory muscles useless, uncoordinated, slow the breathing frequency, reduce air trapped and reduce labor breathing. 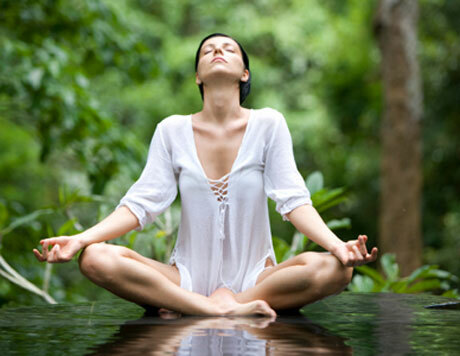 Practice deep breathing is not a form of physical exercise, it is a technique of soul and body that can be added in a variety of routines to get the relaxing effect. Long-term practice of breathing exercises will improve in health. Breathe slowly is the healthiest form of deep breathing (Brunner & Suddarth, 2002). Administration of oxygen if the patient received oxygen therapy at home. Position the patient can sit, supine, half sitting, sleeping on your left or right, horizontal or semi-Fowler. Patients put one hand on the center of the abdomen, the other in the chest. Will be felt on the upper abdomen and rib cage expands the bottom opening. Patients need to be aware that the diaphragm was down at the time of inspiration. When movement (excursion) minimal chest. Chest wall muscles and breathing aids relaxation. Patients inhale through nose and slowly expiratory time through the mouth (lips pursed breathing), during inspiration, the diaphragm and maximize active deliberately protrusion (development) of the abdomen. Made the front abdominal muscles contract during inspiration to facilitate the movement of the diaphragm and increase the expansion of the lower thoracic cage. During the expiratory patients can use abdominal muscle contraction to move the diaphragm higher. Load weighing 0.51 kg can be placed on the wall of the stomach to help this activity. With pursed lips breathing (PLB) will increase the pressure in the oral cavity, then the pressure will be passed through the bronchial branches so as to prevent air trapping and small airway collapse during expiration. Effective cough: a cough with correct method, where clients can save energy so tired and can not easily remove phlegm optimally. Effective coughing and deep breathing is an effective cough techniques that emphasize maximal inspiration starting from expiration, which aims to: stimulate the opening of the collateral system, Improving the distribution of ventilation, lung volume Boost, facilitate airway clearance (Jenkins, 1996). Huff coughing is a technique that can be used to control cough in patients suffering from lung diseases such as COPD, emphysema or cystic fibrosis. To prepare the lungs and airways of huff coughing technique, remove all the air out of the lungs and airways. Start by breathing slowly. Take a breath slowly, ending with secar exhale slowly for 3-4 seconds. 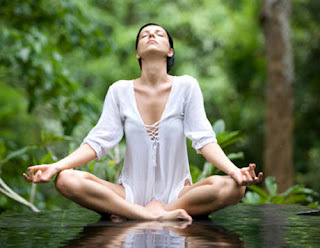 Inhale the diaphragm, Do it quietly and comfortably, not to overventilasi lungs. After perpetually inhale slowly, hold the breath for 3 seconds, is to control the breath and prepare effectively perform huff cough. Lift your chin slightly up, and use your abdominal muscles to perform a quick exhalation 3 times with the airway and mouth open, take out the sound Ha, ha, ha or huff, huff, huff. This helps to open and facilitate expenditure epligotis mucus. Control breath, then slowly breathe 2 times. After that batukkan and remove mucus / phlegm. Sitting in the corner of a bed or chair, but can also help lay on your back with your knees slightly bent. Breathe slowly and deeply through your nose. Then exhale through your mouth full, Repeat for the second time. For the third time, Take a slow, deep breath through your nose, Fill your lungs until they felt full as possible. Batukkan 2-3 times in a row. Try to remove the air from your lungs semaksimalkan possible when coughing.